Regardless of what you imagined Russia to be, a cruise through its intriguing landscapes can help change your perspective for good. As Winston Churchill said: “Russia is a riddle wrapped in a mystery inside an enigma”. 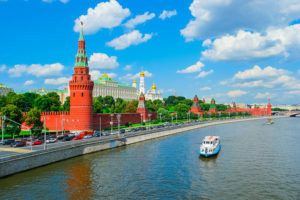 Here at Miles Away Travel, we believe that one of the best ways to answer that riddle and explore the mystery is to spend your time on some river cruises in Russia. Both our land tours and cruises are designed to provide you with some enriching experiences with the best value, and of course, the opportunity to enjoy your trip in true luxury and comfort. If you really want to have a relaxing time while uncovering the wonders of Russia, an authentic Russian river cruise is the way to go. 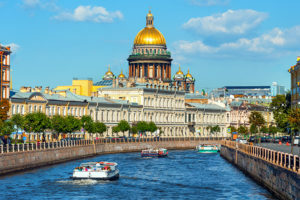 Russia is after all the world’s largest country, and one of the best ways to ensure you see as much as possible is by relying on its waterways to help pave the way to sightseeing success. There is a wide variety of options to choose from. You can opt for a luxury boat cruise, or if your budget is a little constrained, go for one of the more affordable and budget-friendly cruise options. Regardless of what your budget is, you’ll still get to visit the main cities like Moscow and St. Petersburg with our cruise options. 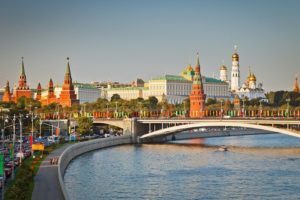 By choosing to explore Russia with a cruise, you’ll have a more relaxed experience coupled with carefully planned land activities in the main cities. Most foreign visitors choose to indulge in the river cruises that trail from Moscow to St. Petersburg and vice versa, but if you’re looking for a more local experience, we also have options that run along the river Volga. The great thing about cruising Russia’s waterways is that everything is planned for you. And who doesn’t love convenience? We take care of all the planning, and all you have to do is sit back and soak it all up. Whether you’re a budget-friendly family looking to explore Russia’s culture or you’re a luxury traveller that needs the finer things in life, there’s a Russian cruise for just about everyone out there. With our variety of Russian river cruises on offer, guests have the option of going out to see the attractions on land, or if they prefer, sit back and relax on the boat. Our travel itineraries have quite a few logistic points including hotels, transfers, and tours, all of which are carefully planned out for the duration of your trip. Russian river cruises are not just cruises, and they’re so much more than just tours. These cruises are multifaceted introductions to the diverse colours and character of Russia. Once you board a cruise ship in Russia, you are not merely a tourist; you become a discerning traveller. And once you’ve experienced how these cruises can help you discover the real nature of a destination, a Russian cruise will never fail to surprise pleasantly. Moscow to St. Petersburg – Travel in style between the two Russian capital cities. Check a variety of itineraries that we offer. Our team of dedicated travel experts is always available to answer your questions. We’re here to help you book the trip of a lifetime. If you have any queries or comments, feel free to get in touch with us today!